23andMe is already allowed to screen customers for mutations associated with an increased risk of breast cancer. Now the FDA has granted the company approval to sell a direct-to-consumer test that screens for a colorectal-cancer associated mutation as well, according to Bloomberg. The test could increase awareness and inform people of their previously-unknown cancer risks. But it also carries risks, a genetic counselor told Futurism — in this case, increased access to medical information that comes without the expert counseling that would help people understand what it means and what to do with it. Let’s talk about the actual test. There’s a very specific variant to the MUTYH gene which, if a person carries the mutation on both of their copies of the gene, is associated with an increased lifetime risk of developing colorectal cancer. About one in 20,000 people carry both mutations, explained Chambers, and something like one or two percent of people might have just one mutated gene. Those carrying the cancer-linked MUTYH gene variant are not by any means guaranteed to develop cancer — it’s just one potential indication that they might. 23andMe’s newly-approved cancer test will detect the presence of that gene variant and clarify whether someone has one or two mutated MUTYH genes. Basically, people who take the 23andMe colorectal cancer screening will get a very limited glimpse into their cancer risk factors. “This doesn’t take into account some of the still-rare-but-more-common genetic predispositions to colon cancer, and it certainly can’t take into account family history,” says Chambers, who added that genetic predispositions only account for 5 percent of colorectal cancer cases. What that means is that a negative result on 23andMe’s new test doesn’t indicate that someone is in the clear, and a positive result doesn’t mean that they’re going to get cancer. 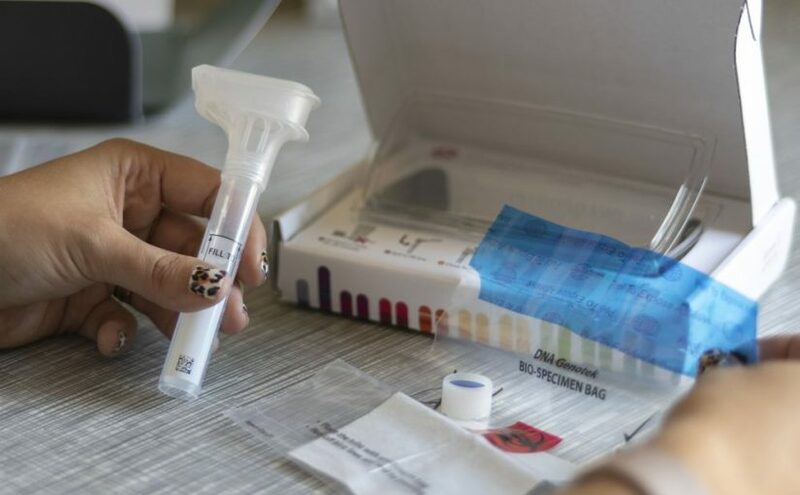 What either result ­does mean is that the person who took the test will have a little bit more information about their own genetic information — though genetic screenings can yield complex information that Chambers says even trained geneticists can struggle to interpret. “Increasing accessibility is a good thing. But some of the limitations of genetics is that there aren’t a whole ton of people that really specialize in genetics,” Chambers said. Logistically, direct-to-consumer tests can increase accessibility to cancer screenings. But even then any findings must be verified by a clinically-validated lab’s own tests before making any actual medical decisions, she explained. Screenshots of the reports that come back from 23andMe’s breast cancer screening test reviewed by Futurism do clearly include several key points: that the test doesn’t test for a great deal of cancer-linked gene variants, that all results are meant to be verified in a clinical setting, and that a 23andMe test cannot replace an official diagnosis. The company also warns customers that the information they receive as part of a medical screening may be troubling when they opt into the tests, and 23andMe encourages customers to set an appointment with a doctor and genetic counselor. But recent findings that direct-to-consumer genetic tests can be inaccurate complicate the matter, according to Chambers. “You have to balance that with wanting people to get quality information that’s accurate — and that’s not always the case with direct-to-consumer testing,” Chambers said. In an ideal world, Chambers said she would rather people have access to what she called a “facilitated track” to genetic screening — educational resources combined with trained professionals to interpret and provide counseling about accurate test results. With direct-to-consumer tests like 23andMe’s, much of that is missing. This article was published by Futurism. © 2019 The Clearity Foundation. All Rights Reserved.